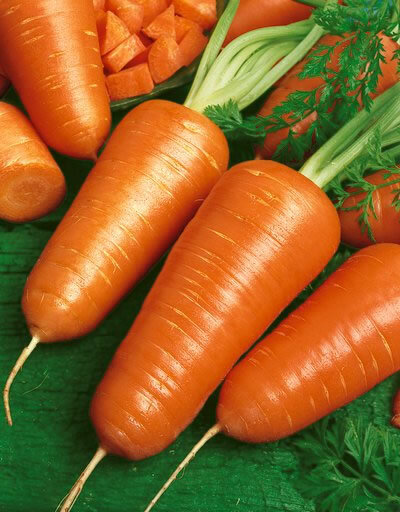 Home grown carrots have the best taste apparently. I thought I would try the small and sweet Chantenay. 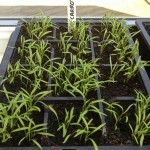 They need to be sown between March and May, depending on the weather and frosts. It is generally best to start them indoors or in a greenhouse to avoid late frosts. 13th April 2013 – Day 1 - Another addition to the conservatory to start it off. Carrot seeds are tiny!! 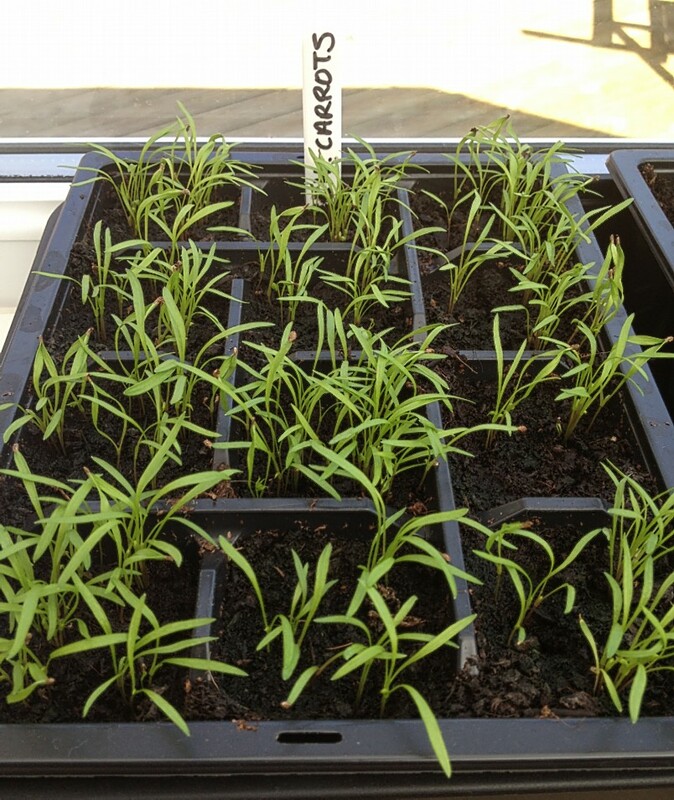 In my 12 pots, I have put a few seeds in each as I would rather have too many than not enough grow. 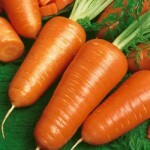 They are in damp compost and planted 1 cm deep with a thin covering of compost over the top. 20th April 2013 – Day 7 - A little disappointed with them compared to some of the others. 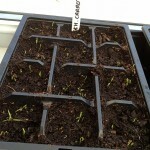 There are 1 or 2 shoots in each pot section, so a good job I put a few seeds in each. They are being watered in the underneath tray so they are not getting saturated. 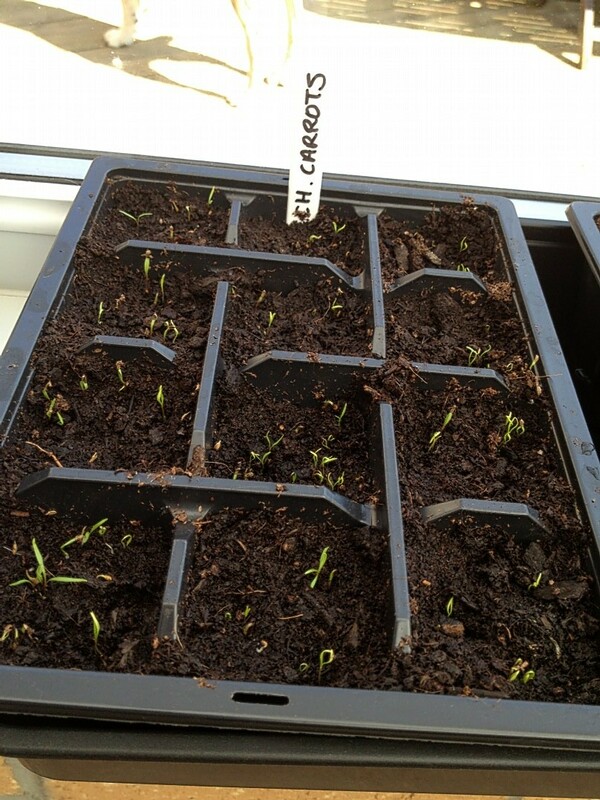 21st April 2013 – Day 8 - Over night my carrots have totally sprouted!! Must be all this beautiful sunny weather wwe are having. 27th April 2013 – Day 14 - Loking good. They are now like a small carpet of grass. 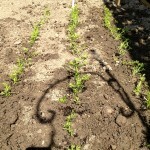 Maybe I will need to thin and replant these soon, but I am going to leave them another week to get stronger. I will be able to use the two empty pots that the pumpkins and Beetroot were in before I repotted. That way, I don’t have to buy more pots. 6th May 2013 – Day 23 - They are now like a thick carpet, so it is time to thin and split them. 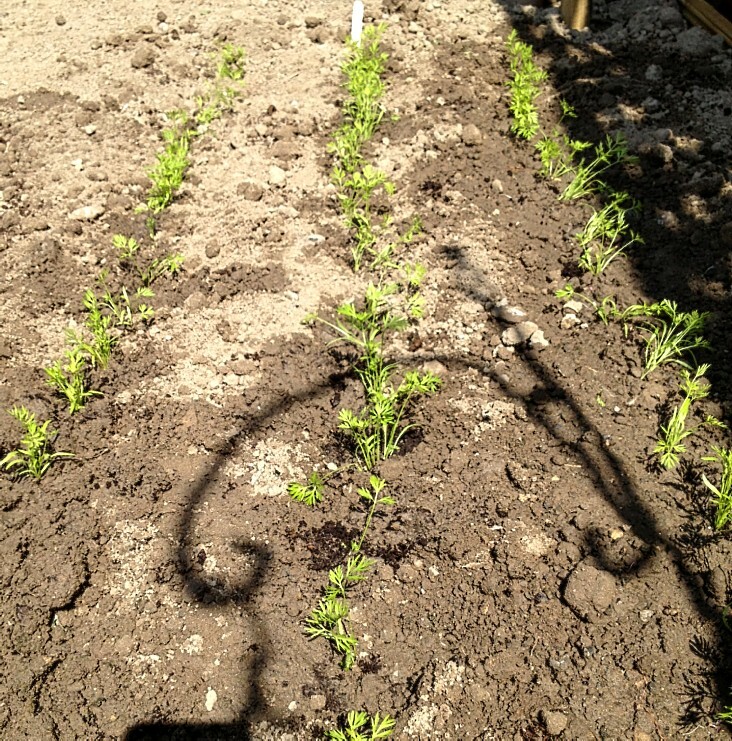 I think they are strong enough to plant out into rows. 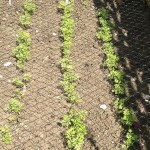 I am spacing them about 5cm apart and each row about 25cm apart. I have made a small trench about 5cm deep and sprinkled with damp compost. It was quite difficult to thin them as the roots were quite tangled. Overall, though, I was pleased with them and sprinkled them with water. By the evening, they had really perked up in the soil. 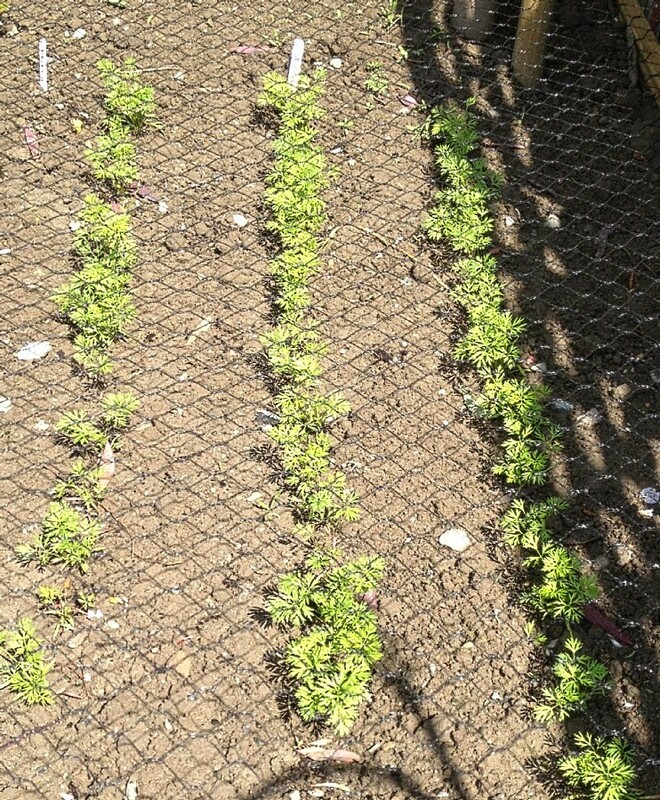 19th May 2013 – Day 36 - The seedlings are looking healthy and fine and getting bushier. We have had plenty of sunshine in the last couple of weeks and due to rain, I haven’t had to water them. I probably will leave them for a while before the next update.